Instead of winding down during the holidays, the Redbull Thre3style DJ competition starts to really heat up in the winter months. The US Finals just took place on November 29th in Washington D.C. at U Street Music hall. The winner, DJ Ease, brought a varied approach to his routine – which is exactly what you need to win the 3Style competition. In finals competitions, Thre3style routines are 15 minutes long – and required to have three genres of music played. This gives the DJ much more of a chance to shine than other competitions, because it starts to depart the mindset of “what can i do in 3-5 minutes?” and instead allows them to put together a proper set. Ease’s routine is a reflection of what modern mix competitions and successful routine videos seem to be looking for: flips and a sense of liveness within the set. I think it’s fair to note that there were a number of technical question marks – blends that didn’t work, mismatched levels between tracks, and a few fingerdrumming flubs. But perhaps the judges instead are aiming to look at his skill not as a performer, but instead as a DJ. 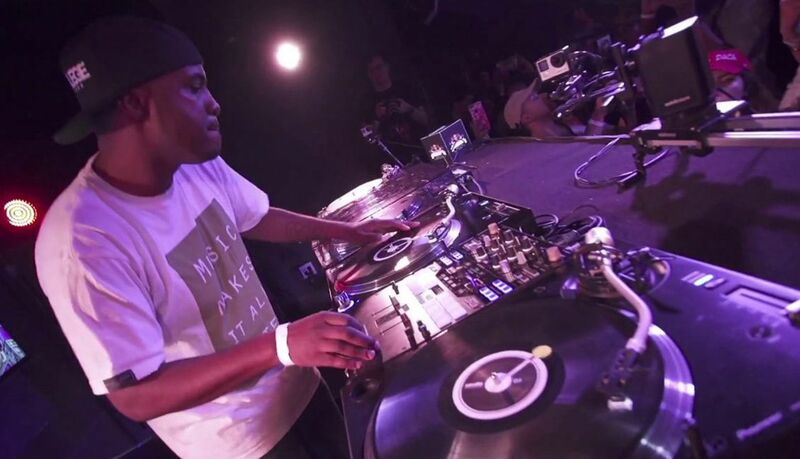 Ease took the bumps and treated it as any DJ should – smiling, and pressing on through his set. It’s a bit of an ironic and appropriate fate that his attempt at firing a confetti blaster into the crowd totally fails. It seems like a telling reflection on DJ antics in 2017 – crowds don’t want cake, CO2 fog, and confetti cannons blasted at them by the DJ: they want good music and solid mixing.